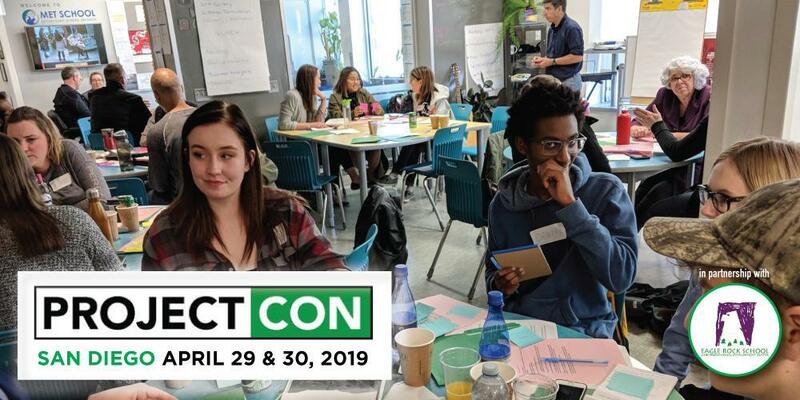 ProjectCon is an opportunity for educators to come together, in a BPL network school, to learn from the life of the school -- the students, staff and leadership -- around best practices for student-driven project work. Held annually in partnership with the Eagle Rock School and Professional Development Center and a school from within the BPL Network, ProjectCon is a coming together of like-minded people to talk about their own project design work through the framework of real students who are working on real projects in real time. At ProjectCon, students have the opportunity to get real-time feedback from peers and BPL advisors from across the country. And BPL advisors from across the country have the chance to get real time feedback on their project-based learning practices from their peers, as well as from an audience that matters most: students. It's authentic, it's real, it's live, it's fun and -- perhaps most important of all -- it's free (for BPL Schools)! Register now and make plans to head to beautiful San Diego in late April 2019. Our thanks to our friends at San Diego Met for serving as hosts for this year's event! To see what it was like at last year's ProjectCon -- hosted by Seven Oaks Met in Winnipeg, Manitoba, check out the video below.